NOTD: Learning my way with Gel - Cherry Colors - Cosmetics Heaven! 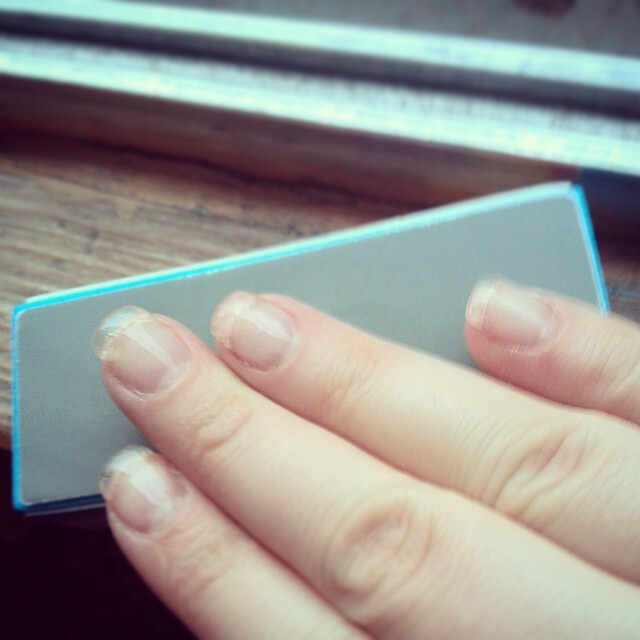 Last time I wrote about my Acrylics journey, and this time I wanted to show you my gel journey. I was afraid of LED and UV lamps for the longest time. I have no idea why, but it had to so something with them being the "unnatural" way to do your nails. Whatever is that supposed to mean. 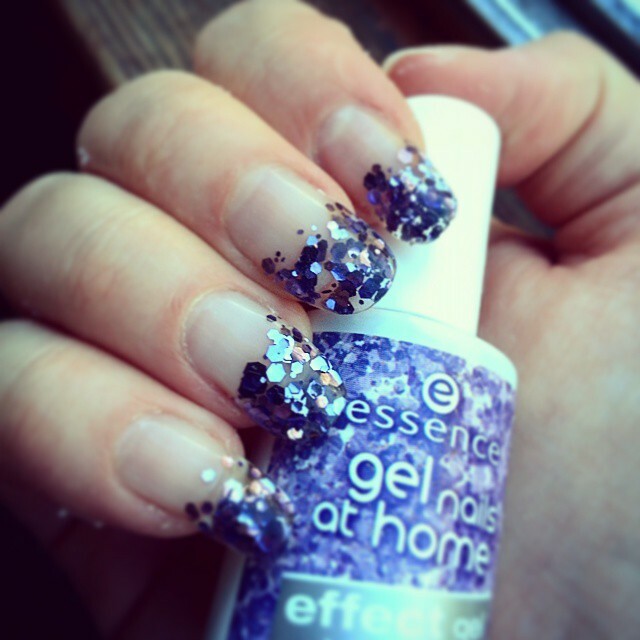 I really wanted to see if I could use the Essence gel polishes for extensions (without tips). The first gel I used was from the discontinued glitter line (they are reformulated now, I think?). 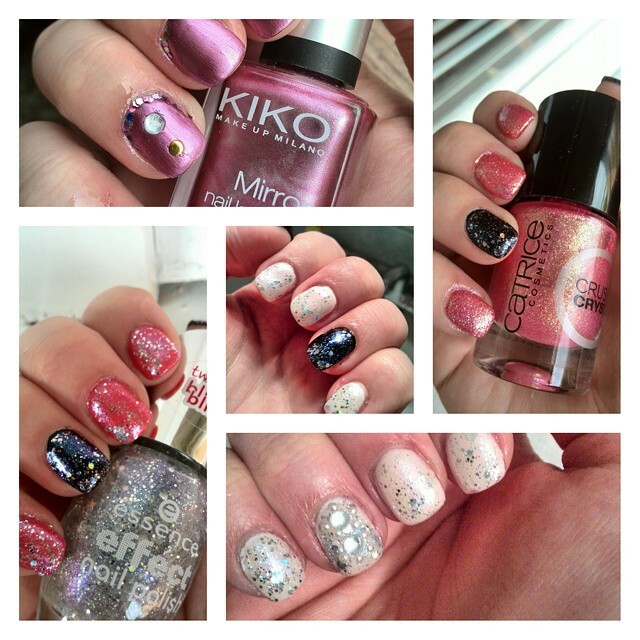 It worked great (because of the big glitter) and the nails were hard. I enjoyed wearing them a lot! 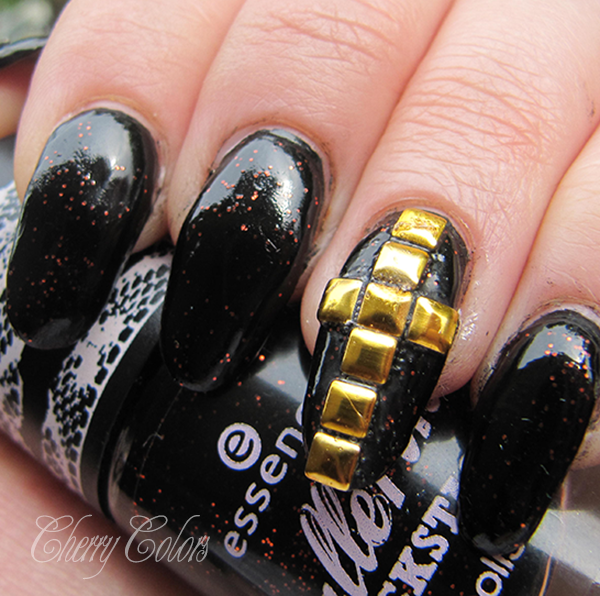 My next try was with the French gel from Essence. It looked fabulous, but sadly it's not a builder gel so it was super soft. I was really sad and disappointing, but it was a good learning curve. This is when I painted them black. Those didn't survive past a day, because I shortened them, so I could use my hands again. My next test was with a builder gel. Finally I realized the difference between different gels. Builder gel is for building and has a thicker consistency, also it needs an UV lamp and not a LED lamp. I had to purchase that one too! I had bitten nails, and I had a manicure course starting in the next few days, so I had to have pretty nails ;). I extended them for a bit, until they looked normal. Not long, but not bitten either. Wearable. But I did learn a lot and I am very grateful about that. My builder gel was from Fingr's and I must say that it is pretty expensive. About 20€ for a tiny set that comes with less than 5ml of gel. 5ml is enough for like.. twice, haha. 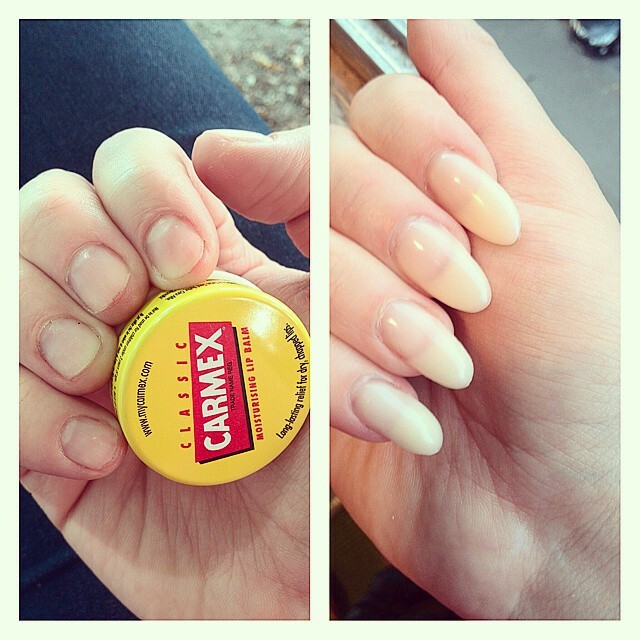 :D Or once if your are doing long nails.